Are you afraid of introducing colour in your home? It can be daunting and it’s easy to make mistakes; it takes boldness to identify the perfect palette. 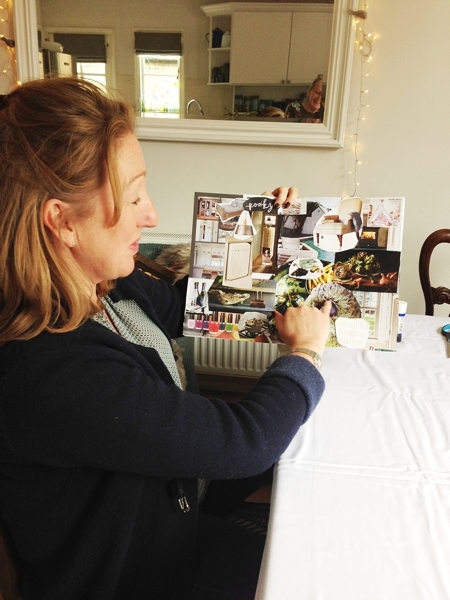 One of my workshop offerings is a day's course, Colour Style Home in which I will equip you with the confidence necessary to inject colour, style and personality into your home. Click here to read about the workshop. I run the workshops in my home and usually restrict the numbers to four, both for logistical reasons but also I think that four is a good number for this type of workshop. I also tailor the workshop to groups of four friends and even on a one-to-one. 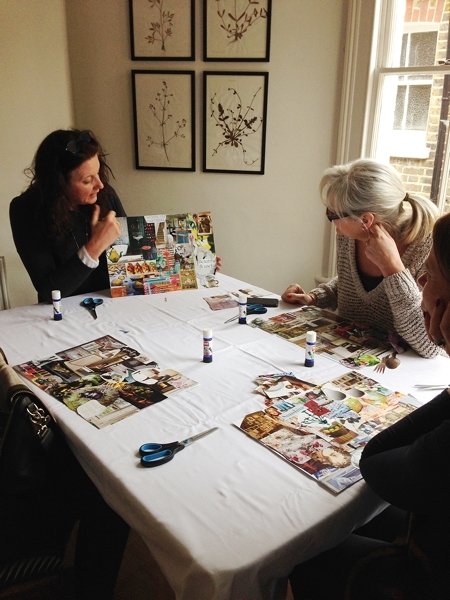 Here's a recent workshop I ran with four lovely friends. 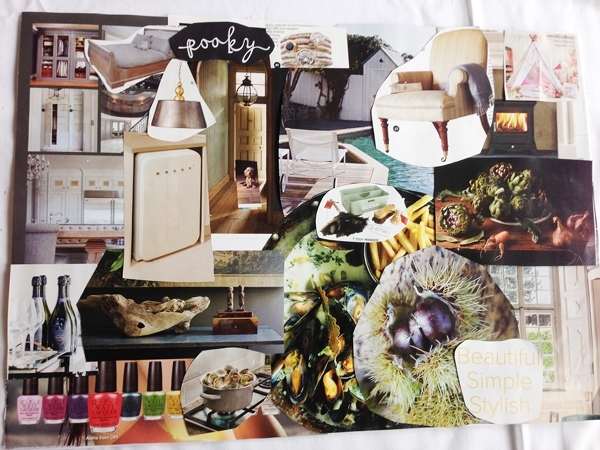 The first task is to create an inspiration board by cutting out images and words from magazines that generally inspire them. They must then present their board to the group. 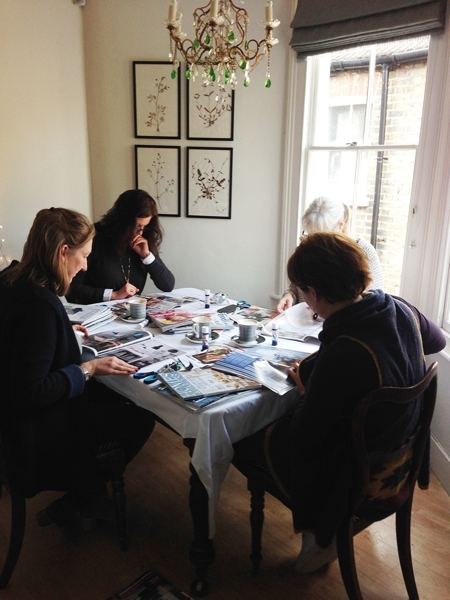 Here they are hard at work and deep in concentration wading through magazines and cutting furiously. 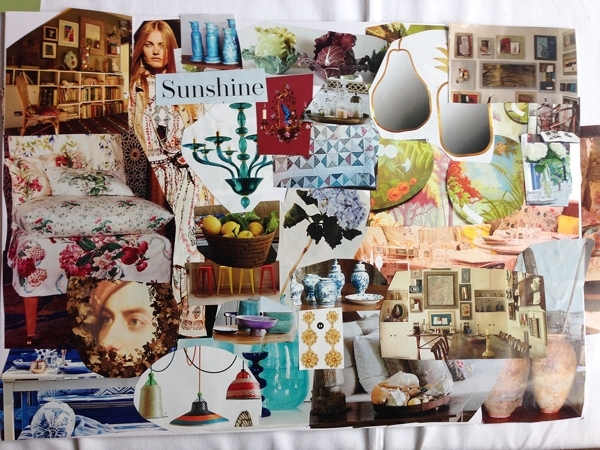 And here are their fabulous inspiration boards. Presenting their boards to the group they found to be very useful as they had to articulate why they had added things to the board and they surprised themselves by some of their choices. After a 45 minute colour talk that I gave, it was time for lunch with a glass of vino! After lunch I ask the students to create colour schemes for two rooms using samples of paint colour(s), wallpaper & fabric and then present them to the group. The students found the feedback from each other very helpful as it allowed them to get a different perspective. 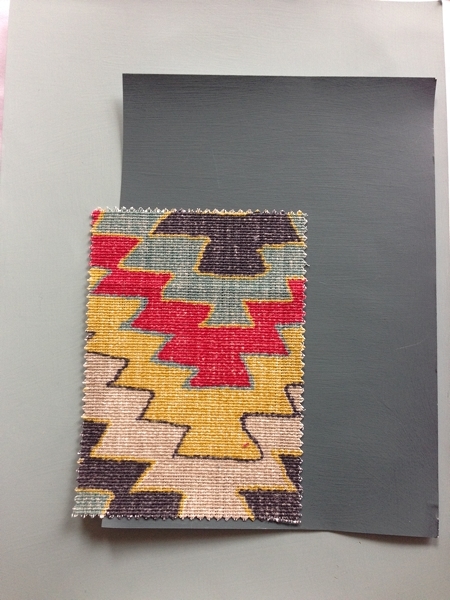 In some instances they changed the fabric or the wall colour in line with a helpful comment. Here are some of the schemes they created. We rounded off the day with a glass of Prosecco and they left armed with their inspiration board and photos of their two colour schemes. After the course I always email advice to each student on identifying colour schemes based on what I gleaned from their inspiration boards and their input during the day. If this workshop sounds like something you would be interested in, click here to read more and to book a place for the next workshop which is on Tuesday 12th September. I'll be adding more workshop dates in the next week or two. If you would be interested in a bespoke workshop for yourself only or with three friends give me a call on 07960 934427.